Apple on Tuesday confirmed company-owned Domino's pizza outlets will be accepting Apple Pay by the end of 2015, while Cinnabon plans to integrate the mobile payments solution in its stores in 2016. Apple informed the Associated Press of Domino's and Cinnabon's Apple Pay plans hours after the service launched in Canada, the third region to roll out support after a U.S. introduction last year. 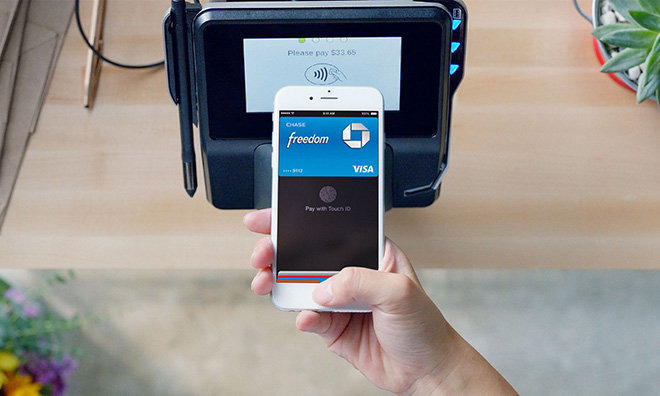 Banks and retailers in the UK partnered with Apple to launch Apple Pay in July. Adding color to today's Canadian launch, Apple's vice president for Apple Pay, Jennifer Bailey, said services are initially limited to American Express because the institution is both the card issuer and payment network operator. Apple is partnering with American Express to debut Apple Pay in Australia for the same reasons. Visa and MasterCard support is expected to follow in the coming months as credit cards from those companies are currently accepted in active Apple Pay markets. Aside from Domino's and Cinnabon, a number of retail and restaurant chains are looking to integrate with Apple's service. One of the largest corporations on deck is Starbucks, which will launch a pilot program at select locations before the year is out. KFC and Chili's are also planning to partner with Apple in 2016. Apple is eyeing market expansion into Hong Kong, Singapore and Spain sometime in 2016.